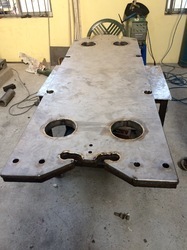 Providing you the best range of titanium lining, titanium tank, titanium electroplating tanks, titanium lined plate, titanium lined tank and titanium liners - plating tank with effective & timely delivery. Titanium lining of MS / SS tanks provides protection against high temperatures and corrosion. Uniforce offers this service as part of its range for existing tank as well as fresh supply as per specifications. Titanium linings come in a variety of thicknesses and are low maintenance. Titanium may also be used for lining plastic as good as metal tanks. . Titanium is commonly used to line tanks for solutions containing chlorate, chloride etc etc. To get our quote, please forward your specifications today. Our primary business focus is on the manufacture of highly cost-effective process equipment such as Shell and Tube Heat Exchangers, Columns & Towers, Condensers, Reactors, Pressure Vessels, Piping, Piping Systems and Spargers. 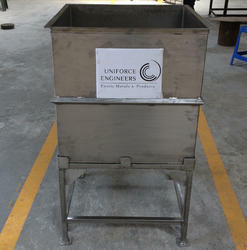 Uniforce specialize in the reactive metals and corrosion-resistant alloys. 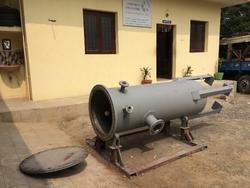 We do manufacture and supply storage tanks as per customer specifications. 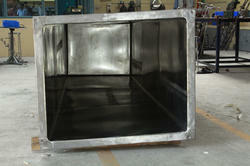 Titanium lining of tanks provides protection against high temperatures and corrosion. Uniforce offers this service as part of its tank lining capabilities for existing tanks or new tanks. Titanium linings come in a variety of thicknesses and are low maintenance. 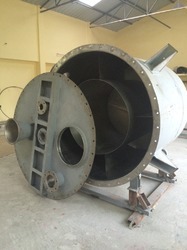 Titanium may be used to line plastic or metal tanks which are to be used in corrosive medium. 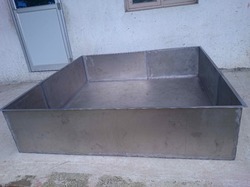 s. If you are interested in obtaining a quote for titanium lining of a tank, please contact us.